Chocolate and strawberries often go hand in hand with Valentine’s Day. I don’t think this day of hearts and cupid is complete without them. 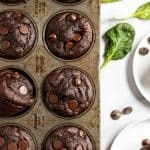 I have a super simple recipe (which I will share as well!) 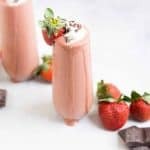 to make chocolate dipped strawberries, but this week I was thinking that taking this recipe to smoothie form could be just what I need! I love the ease of packing fruits, veggies and protein all into one sippable, creamy drink. This smoothie in particular makes me feel like a kid. It’s pretty much like a milkshake, but packed with protein, vitamins and more! I think that chocolate often gets a bad rap because it typically is combined with lots of sugar. Unsweetened cocoa can actually have a great deal of benefits. It contains copper, a mineral your body needs, fiber, and phytonutrients which can help prevent cancer. If you consume chocolate in its natural form, it’s not so bad at all! 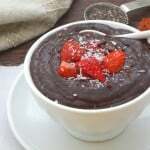 And if you combine chocolate with strawberries then you are talking about a way to make your day even brighter! Combine all ingredients into a high speed blender and process until smooth. Garnish with some whipped cream and cacao nibs if you prefer! If using fresh strawberries, toss in a few ice cubes to thicken and chill the smoothie. If using frozen strawberries, you may need 1/4 cup more milk. Hope you like this one! Thanks! So good to hear Emma! Thanks for sharing! This is my kind of smoothie! The perfect valentines day breakfast too!!!! Yes! Or any day at all right?! Um mic drop, this photo is AMAZING! I want this smoothie now! Maybe for my sweetie tomorrow! Surely he would be verrrrry pleased!!! Holy yum! Why make dessert complicated when this could be your dessert! Right on, for sure. I would happily have this! 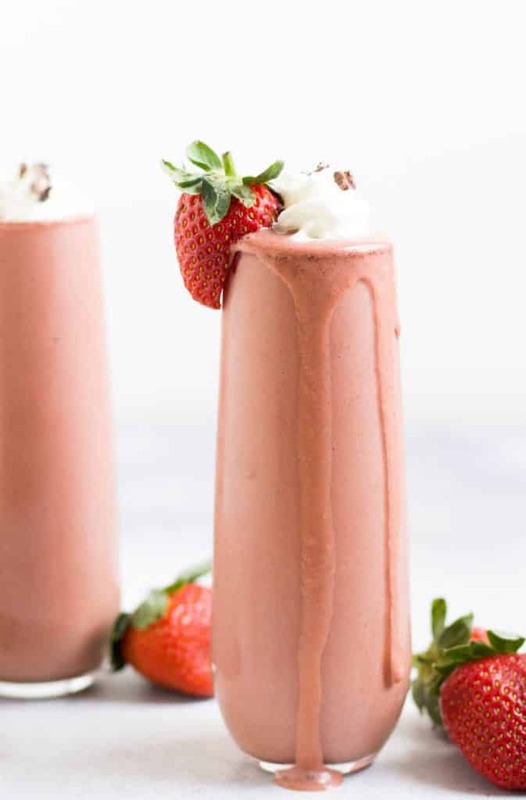 Chocolate and strawberry is an amazing flavor combination and to be able to enjoy it in a smoothie is a double win! 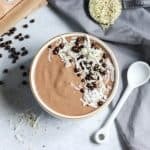 This smoothie looks so creamy and delicious! Definitely wouldn’t mind starting my day with one of these!